November 22nd in WordPress Themes by Wordpress Jedi . So you would like to offer your own video and media streaming service? You are going to need a good looking, responsive website to offer your customers a smooth experience. 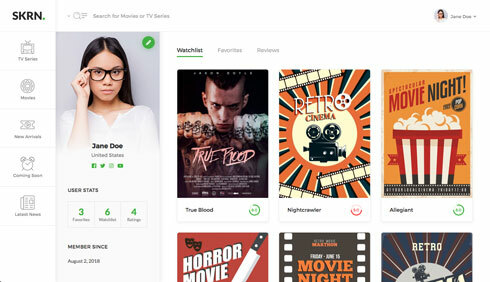 SKRN is a media streaming theme that lets you start your own premium content streaming service. You can customize your pages via a drag & drop page builder. SKRN comes bundled with the ARMember plugin. It has a built-in video player, advanced search functionality, and a video rating system. You will be able to easily restrict access to your premium members with the tools already built-in. The SKRN theme is responsive and ready for retina displays. It supports multiple payment gateways, periodic billing, trials, and content drip functionality. With Boosted Elements, you will be able to create sliders and other interactive content for your pages.